I've been dealing with asthma my whole life. I had my first asthma attack when I was two years old and I had a pretty rough childhood after that. My asthma attacks were almost daily and were triggered by allergies and excessive motion. So no running for me and no house plants and pretty carpets for my mom. My family had to relocate to a more suitable climate and rethink a lot of their daily choices in order to keep me healthy. I've tried every treatment possible - medicine, shots, steroids... Nothing really worked long term. The attacks kept coming back and all the various treatments left my immune system in a terrible shape. I was sick all the time. I had a tonsillectomy at age five because the doctors were convinced that it will help me avoid constant inflammation. It made things even worse and I was constantly suffering from pneumonia and even the tiniest of colds would affect my lungs, my weak spot, and trigger an attack. My poor parents! I was in high school when I started doing my own research and I was able to change things. I was able to control my asthma at that time by avoiding most allergen triggers and vigorous exercise, but I still had periods of daily attacks that left my body weak and exhausted. I found a doctor who treated chronic illness with food. It included a period of fasting and then specific food choices , that were going to help me manage my asthma. It did not include medication so I decided to give it a try. It has been life changing! I am mostly symptom free. I've had only two attacks in the last 4 year! I don't use any prescription or over the counter medication. 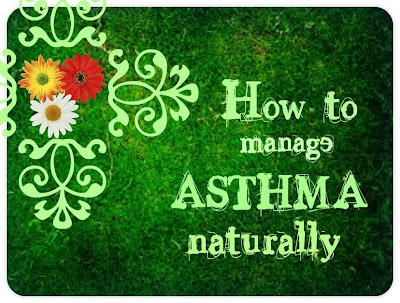 I use food and herbs to manage my asthma. I do not follow a strict diet and can handle a lot of my triggers without provoking a full blown asthma attack. I find that this is the best way to let your body restore its balance. My first cleanse was very intense. It was 20 days of just juices and herbal teas. I lost about 25 pounds and I felt great at the end , but it required a lot of will power. I desperately needed this drastic change as I was having daily asthma attacks and I was suffering a lot from allergies. This was seventeen years ago and I've only done it one more time. I usually do a milder version of it every year. I still incorporate a lot of fresh juices and herbal teas, but I eat a lot of fresh fruits, vegetables and some cooked veggies and beans as well. If you eat pretty healthy , you can probably add some wild caught fish and organic chicken. I like to do a two week long cleanse in early spring, in order to get ready for the "active" allergy season. I also go into a cleanse mode when I get sick in the winter. If your asthma is triggered by allergies, as is mine, you have to avoid eating a lot of mucus forming foods.When you do a cleanse, your body has a chance to get rid of the excess mucus that has built up throughout the year. If you think you can't handle two whole weeks , just give your body a break one day every week. I had a friend who would eat fruit only on Tuesdays and that was his way of keeping his body clean and well balanced. Remember, if you want to start a more intense cleanse, make sure you find a doctor who can advise you according to your body's needs. I had to visit my doctor every few days during my first cleanse so she could check my vitals and make sure it was healing rather than damaging to my body. If you have any fluctuations in blood pressure, blood sugar, severe headaches, or extreme weakness, you might want to take the gentler approach and do a longer cleanse, until your symptoms disappear. Think of mucus as sludge for your body. It captures and stores toxins and allergens.It makes your organs sluggish and prevents them from functioning normally. If your systems of elimination are not efficient enough, your body will not be able to expel all the mucus and it will bring on conditions such as excess weight, constipation, sinus problems, joint pain, headaches, and allergy and asthma symptoms. Doing a cleanse once a year will help you keep your balance, but it is good to keep mucus forming foods to a minimum throughout the whole year. As part of my initial recovery , I had to avoid wheat, dairy and meat. It was a kind of continuous cleansing of the system until my body recovered its balance. Today, I don't shy away from those foods, I just try to make healthier choices. I make my own sourdough bread or purchase from a local artisan bakery. I eat cultured dairy and raw cheeses , rather than processed milk and cheese. I incorporate a lot of probiotic foods in my diet, such as fermented veggies, sauerkraut, kombucha , yogurt and kefir. This keeps my digestive tract working well , which is one of our major channels of elimination. A healthy gut means a healthy body! 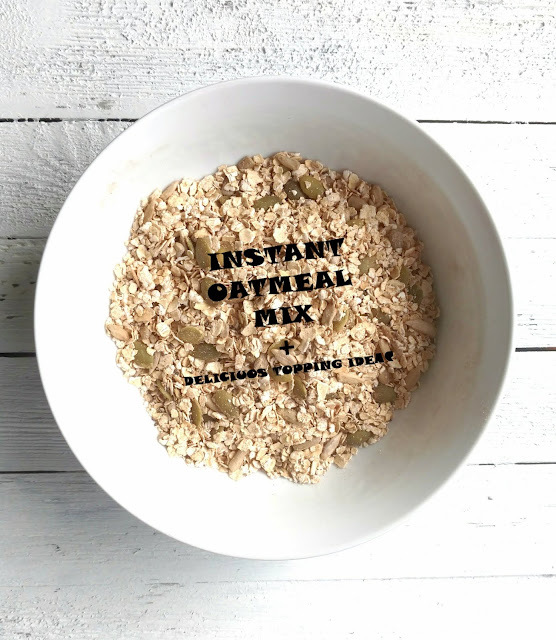 There are a lot of alternatives to gluten and dairy and it is a lot easier to enjoy wholesome, delicious foods, while staying away from major allergen triggers ( asthma triggers). It wasn't easy in the early 90s when I first started. But the biggest lesson I learned throughout the years is: HOMEMADE! This is the only way to guarantee the purity and quality of your food. There are too many uncertainties and gaps in the official regulations and I never trust the claims on the box. Usually a healthy claim in big print on the front is not reflected in the ingredient list on the back! Check and you'll see what I have in mind! Switch all your Tupperware to glass - Glass is more expensive but it is worth the investment. You can start with just a few containers and expand according to your needs. I still use some BPA free plastic containers to keep cold food, but never put anything hot or heat up a plastic container. Glass is very durable and you can put it in the dishwasher without being afraid that it will start leaking toxins in your food after the first wash.
Use a water filter - We use a PUR filter for our drinking water and for cooking. I like to fill up a reusable bottle of water when we go out. We sometimes purchase bottled water when we are traveling but try to avoid it as much as possible. A lot of the plastics used for packaging and water bottles leak estrogen like chemicals which we ingest. This can wreak havoc on our bodies, and most importantly our children's bodies. Little boys don't need synthetic estrogens! Use natural body products - Allergies and asthma are often accompanied by dry skin or eczema. It is a whole body condition and people often forget that the skin is our largest organ. It is not an impenetrable wall between you and the world . It is a living, breathing thing and it is one of our most important channels of elimination. Women often apply over 60 chemicals on their skin daily. So, choose wisely. Use products without any harsh chemicals, synthetic perfumes, dies, phtalates or parabens. There is a great variety of products out there and often you can create your own for just pennies. It is very simple and you don't have to become obsessed with every little thing. Start small and bigger changes will inevitably follow. Even though I haven't had an asthma attack in a couple of years, I still try to avoid any triggers when possible. For example, we put in hardwood floors when we moved into our house; we don't have any down bedding or pillows. We use only natural, scent free laundry detergent and wool dryer balls instead of harsh smelling dryer sheets. I avoid certain flowers and plants in our house, and we don't have pets. So, there are some sacrifices you have to make but I love being able to breathe! You just have to find your strongest triggers, the things that will bring on an attack for sure , and eliminate those. You will be able to tolerate any milder triggers after you balance your body. A lot of things will even disappear as causes of an attack. If you often get asthma attacks when you try to exercise , run , climb, or when you are under stress, you might want to talk to you doctor about Exercise Induced Anaphylaxis. It is often misdiagnosed as asthma and is caused by the body's reaction to certain foods like gluten , dairy, shellfish or peanuts. You don't have to be allergic to those foods in order for them to trigger an attack. The easiest way to find out if you have Exercise Induced Anaphylaxis is to do an elimination diet/cleanse and then add the most common triggers back to your diet one at a time. Try any rigorous movement before you add them back in to see if you will have an attack. Then eat any of the triggers before you exercise and see if this will affect you. I used to carry an inhaler with me all the time. But I hated using it! It made me jittery and light headed for the rest of the day and I couldn't function properly. I had to find a natural alternative to the inhaler which was easy to use and worked quick enough to relieve an attack. Let me tell you, it does exist! During my herbals studies I discovered a common herb which changed my life - Mullein. I use a ready preparation with Mullein and other herbs by WishGarden called Deep Lung. I love it ! Two dropperfuls of the tincture bring air back into my lungs in minutes and I can avoid getting a full blown attack. I take it every time I feel tightness in my chest. I also use aromatherapy as a way to relieve any discomfort or difficulty breathing. I use eucalyptus oil when I have a cold or any sinus issue. It helps me sleep better and breathe better. I also carry some peppermint oil with me and rub it in my palms and inhale when I feel a little bit of a difficulty breathing. Drinking strong peppermint tea will do the trick as well. 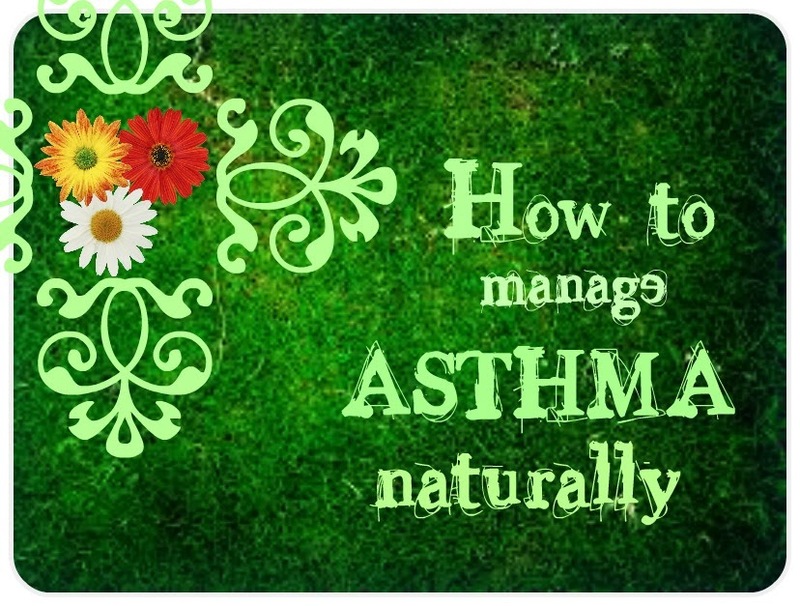 I know asthma and lung issues can be very hard to deal with and be very limiting. But living a full life and enjoying every minute of it is possible. It just requires a little effort and lots of determination to get better. Remember, only you can heal your body, it is all up to you! How do you deal with the every day challenges of asthma?